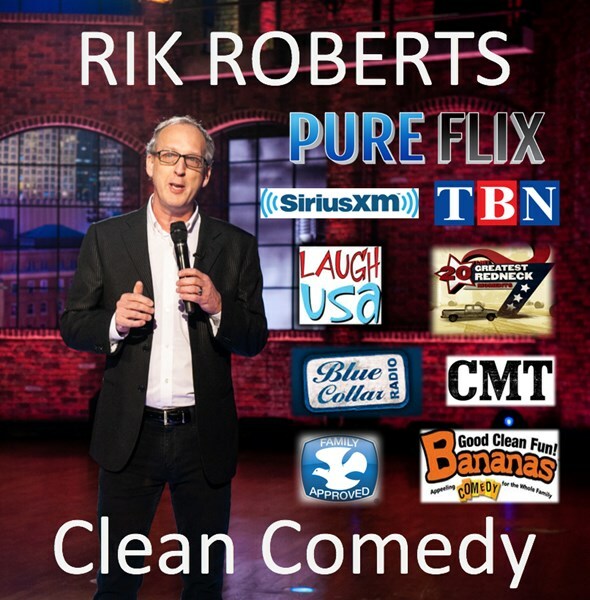 Rik Roberts :: Clean Comedy & Creative Keynotes! 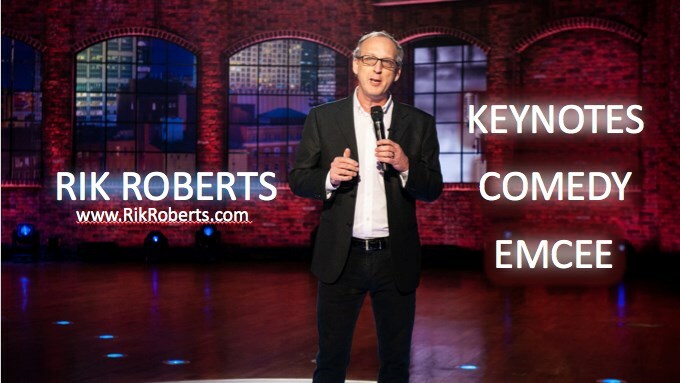 > Rik Roberts :: Clean Comedy & Creative Keynotes! Kids' Party Entertainments > Rik Roberts :: Clean Comedy & Creative Keynotes! Your group will love Rik's "easy to relate to" upbeat comedy. 100% funny with a money back guarantee. With 20 years experience, you can rest assured you and your event are in good hands. Rik can offer you multiple choices for your event including Stand-Up Comedy, a Creative Keynote Speech or an appearance as Barney Fife! Want to really stack the deck? He can provide all three or any combination of the programs to make your event a huge success. His stand-up routines were featured on “Bananas Family Comedy”, “The Henry Cho Show”, CMT's “20 Greatest Redneck Moments”, NPR's “Car Talk”, and SiriusXM's “Blue Collar Radio” and “Laugh USA” stations. Rik is a member of the National Speakers Association (NSA). Rik has 20+ yrs experience as a clean comedian. Sit back and relax as he takes you on a fun filled ride through life's experiences and adventures. Shows can range up to an hour and are a perfect fit for any group who wants to laugh hard, take it easy and unite through laughter. 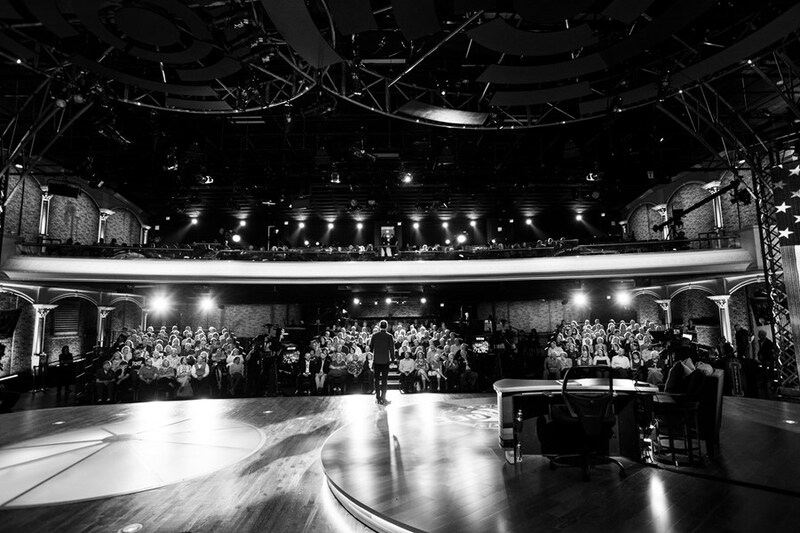 The full one hour show is 70% Stand-up and 30% musical comedy with optional audience participation. This speech starts with a bang! Imagine your attendees surprised by America's Favorite Deputy blowing a whistle as he enters the conference room. Next, he pulls out a few “citations” that he has written up on members of your group. The group belly laughs as the “harmless offenses” are revealed. Once the group is engaged, Rik steps out of character and delivers a speech about increasing productivity by eliminating distraction, managing time more effectively and setting clearer goals. “Imposter Speaker” – CORPORATE PRANKSTER! and more. You get to play a role in picking the topic and character. Rik does the rest! Rik roberts was absolutely the best entertainment that we (Lockheed Martin) has had. Our employees and their spouses really bragged on his performance. We were very pleased with his services. Rik was professional and always prepared and on time for all 3 of our events. The audience loved him! Rik was a hit with our corporate event. We were very pleased by his performance, his interaction and the response of the audience. He was a pleaseure to work with. Gigmasters was also very helpful. Rik was very funny and entertaining. He performed for a corporate function and the staff as well as the customers in attendance really enjoyed his performance. Rik was a great addition to our gala awards dinner event. He arrived early, worked in some details of our event and delivered a wonderfully entertaining show that had the crowd laughing so hard some were wiping tears. I would highly recommend him for your event. Rik was everything I had hoped for when booking him for our event. He entertained our attendees with adult but clean humor and kept everyone laughing the whole time. Rik is a top notch professional. I would book him for any event for any type of crowd. absolutely fantastic!!!! my employees considered it to be the best Christmas party we have ever had and this is our 30th year. A tip of the hat to Rik. May God Bless!!! Rik handled our event very well. He took care of setting up sound equipment, his own travel arrangements, and really got our group laughing. Thanks for everything. Rik is absolutely hysterical. His Barney Fife impression is a riot. He can really adapt well to his audience and any event. He is very accomodating and very professional. I would recommend him highly for our next event. Please note Rik Roberts :: Clean Comedy & Creative Keynotes! will also travel to Madison, Lebanon, Mount Juliet, La Vergne, Hendersonville, Hermitage, Ridgetop, Smyrna, Antioch, Gladeville, Old Hickory, Lascassas, Arrington, Murfreesboro, Nolensville, Brentwood, Norene, Watertown, Gallatin, Goodlettsville, Milton, Auburntown, Castalian Springs, Franklin, Mitchellville, Whites Creek, Christiana, Alexandria, Readyville, Rockvale.